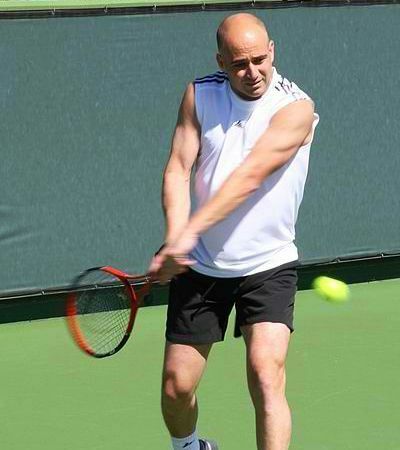 Andre Agassi has been inducted to the International Tennis Hall of Fame last July 9, 2011. Rightfully so, he is considered one of the greatest tennis players of all time. Beyond his achievements on the tennis court, his influence in the global popularity of the sport can not be under stated and his philantropical initiatives secures his place as one of the most famous and well-liked athletes in sports history. True, there are others who outshine him in terms of career or grand slam wins. But that may be attributed to his lack of focus in the early days of his career. He was able to revive his career to become the only male singles player in history to have won all four grand slam tournaments, an Olympic Gold Medal in tennis and the ATP Tour World Championships. In his autobiography, Agassi admitted using crystal meth and lied about it when he tested positive to avoid being penalized. But I doubt if that would significantly tarnish his legacy. Agassi should be a source of inspiration to other athletes for coming back after falling so low in the rankings and to other sports superstars, for doing charity right at his hometown. Thank you, Andre Agassi, for entertaining us with your tennis play and serving as our inspiration. Novak Djokovic IS Wimbledon champion and along with that comes the much deserved validation - being the no. 1 rated men's tennis player in the world today and in 2011. New wimbledon champ, Novak Djokovic of Serbia (SRB) dethroned defending champ and former no. 1, Rafael Nadal of Spain (ESP) 6-4, 6-1, 1-6, 6-3. The newly-crowned champ, tasted wimbledon grass and gave away Novak Djokovic rackets as part of his celebration for his most recent triumph. Djokovic's recent victory is his fifth against the great Nadal. Djokovic has turned to become the wall to Nadal's success this year, denying the spaniard 5 titles. Djokovic now owns Nadal as Nadal has owned my Federer in their head-to-head match-ups. Now, that Djokovic tasted a wimbledon men single's title, and the wimbledon grass for that matter, he would surely be hungry for more.